Today, taking images can not only be done anywhere but also almost by anyone. No matter who you are, you can easily do it by using your phone, pocket camera or even the pro or advanced one like the DSLRs. You can also choose the location either you will take the shots at outdoor or in indoor photo studio. Related to the used of cameras, different tools will also created the different results just like the usage of the phone camera with the DSLR. It will be very much different in result since the used technologies are not comparable. Taking pictures in a photo studio may sounds there aren’t much you can do than doing it at outdoor where you can explore more of the nature or environment as the background, then find the best composition to be combined with the your model or main object at the foreground. But the things are, “freezing the moment” at indoor will be help you in getting known more of your object and may contribute in find your passion in product photography. Why you should take images in photo studio? There are also other reasons why photographing in an indoor photo studio will give you more benefits than the opposite one. And I have listed some of them in hope you can also get more advantages than what I am about to tell you. There’s no reason for me to make a conclusion that an outdoor photography is not better than the indoor because I think it will so silly. Moreover, both of them will be perfect if you could combine all of the skills you have found or learnt. Anyway, images taken by the professional photographers in an indoor photo studio somehow timeless as well. They will be unique and mostly will be used more often than what you are possible to make, your ID photo as an example, right? Take your model to the outside! I think that you have been learnt a lot that no matter how professional you are, sometimes you find yourself can’t even deal with the messy hair of the model because of the wind blows at certain speed. So with the light, the sun flare, the weather and everything around you. But when you are taking images in an indoor photo studio, at least you can breathe a sigh of relief since most of what will be happening in the room are on your hands. You can deal with the light as your own setup, turning on the fan as you need, and many more according to the tools and gears you’ve got. Many of the job vacancies are required the contestants to prepare their best and formal images. You can always taking them by yourself or simply ask the favour of your friends. But, many of us can always do that as well as dealing with the editing process. So, for more professional looks in just a seconds, I think you need to find the best photo studio in town. That will only one example among thousands of what the professional looks could be in photography. It’s not just about the outdoor weather or the elements that I have been mentioned on the first point above. Let say you wanna take a picture of the children. Doesn’t it will be drain your energy in arranging the children at outdoor? Sometimes you have to run here and there just to take the 5 seconds image. In process of creating your photographs, doing it in an indoor photo studio will also contribute in getting more focus about the project you are dealing with. From the solid colour to the conceptual backdrops, you are free to choose and use them as you need. 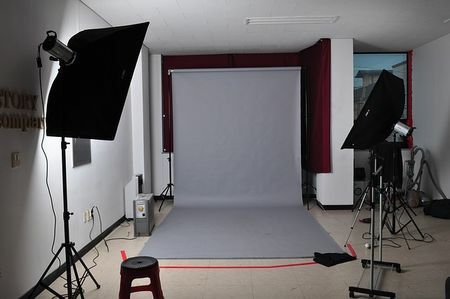 There are also many of the photo studios that are made just like the photo booth studio with some of the thematic accessories, tools, unique furnitures and more just to show their customers that they have the better options for the conceptual photo studio than the other. It is pretty much a good business. You will not only use the photo studio service or rent the studio, but also there are more of available services to help you with whatever your needs are. I have found that there is one of the best photo studio rental in Bali (in case you are here) that also provide services such for photo editing and even for your business products and video shooting. Look! There are more of the popular products in this world that the images will be used for their campaign are created inside the photo studio. And in many chances, renting a studio for one or two projects will be cheaper than getting yourself to the authentic location especially for most of the production houses. If not necessary, you will not have to get yourself to the difficult locations where they will also contribute in spending more of your money for the gas or transportations. Not to mention if the cameras, gears, and your equipments are suddenly fall and broken. So rather than troubling yourself, why not simply rent a photo studio if it will be more than enough for your project and experiment. Then, you will save the money as well as your time. That’s all what I could listed about the advantages of using the photo studio for taking images that you can earn.